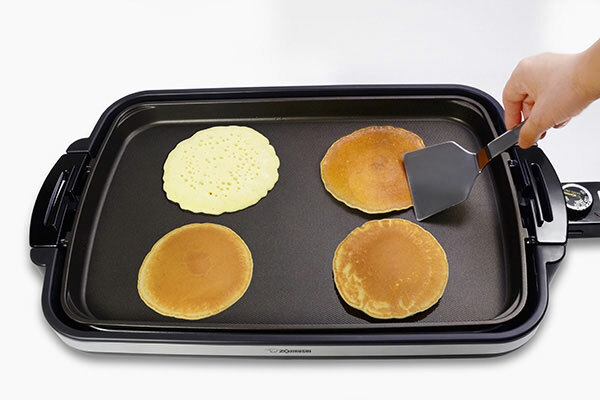 The Gourmet Sizzler® Electric Griddle makes it easy to make pancakes at the table. 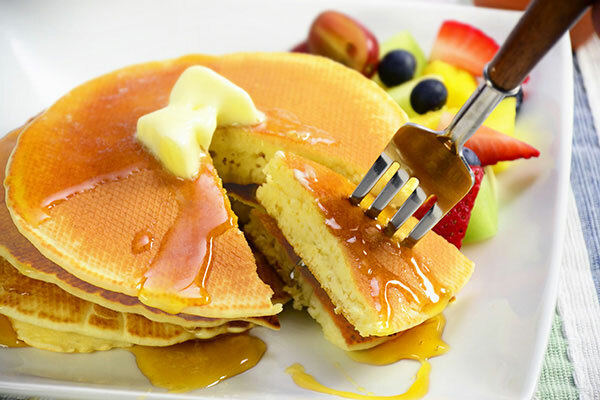 Prepare some chocolate chips and sprinkles to let the kids decorate their own pancakes! 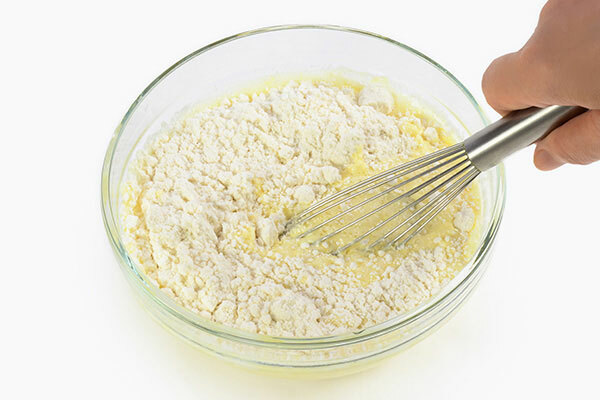 Mix pancake mix, milk, and eggs following the cooking directions on the Pancake Mix package. Turn the temperature control dial to 400°F. 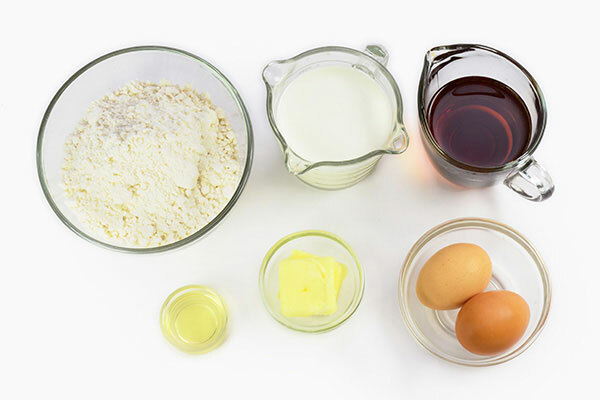 Pour a little bit of oil on the hot plate when the pilot lamp turns off, and pour on the ingredients from the bowl. 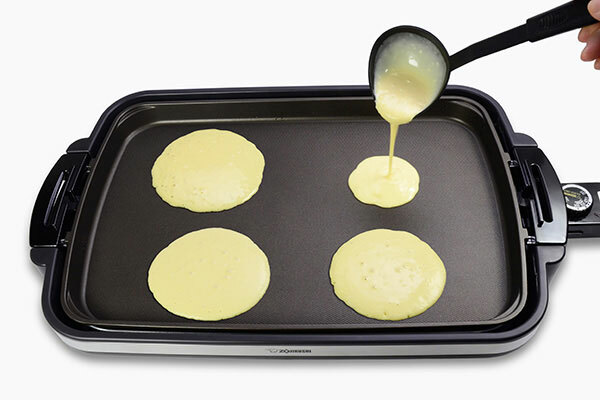 When the bottom side is done, turn it over and cook the other side. 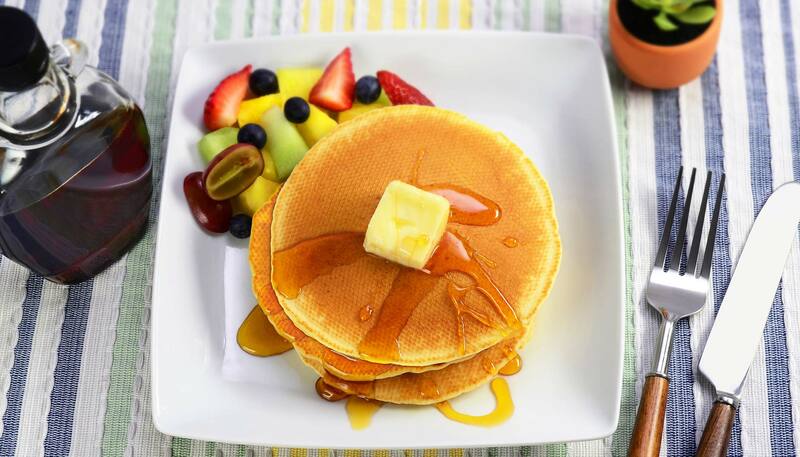 When both sides are done, top with butter and syrup. Garnish with fruits.